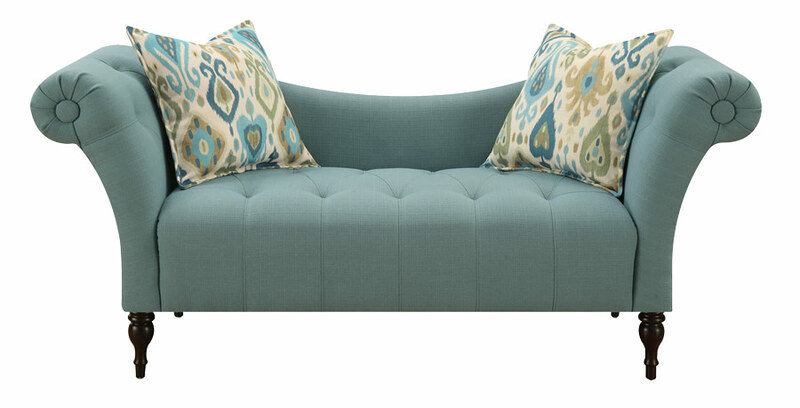 The Lucille sofa is a small sofa that comes with a lot of personality. 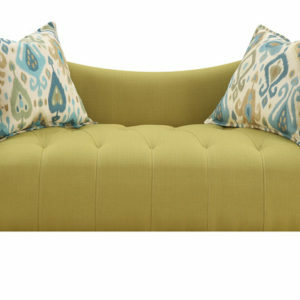 The playful curved back and arms, pair perfectly with the button tufting and spun legs for a look that is truly unique. It is available is a chic blue or a vibrant green, perfect for giving your home a little pop!